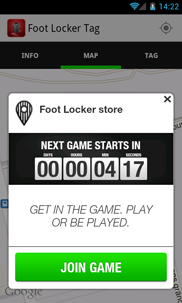 In cooperation with River, we developed a game app supporting an international ad campaign for Foot Locker and Nike. 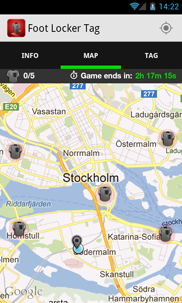 The goal of the game was to find specific places in the city as fast as possible, tag them and then return home to the Foot Locker store. The runner who tagged most places and did it fastest won the grand price. 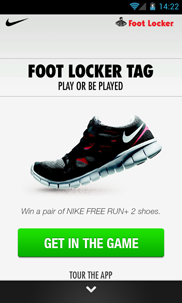 Starting from 500 Foot Locker stores all around Europe and downloaded more than 50 000 times during the campaigns two weeks, the app was an imminent success.